This older home needed a face-lift in the backyard. We created a patio cover to fill in the U-shape between the breezeway and back of the home. The back of this home had no shade and was in need of adding a space for the family to relax and entertain. The gabled roof gives the space a very open feel. The stamped concrete patio extends out past the cover to allow for the fire pit. The knee walls provide additional seating as well as define the space. To create this updated space, we replaced existing windows as well as the siding on the home. The flooring is a stamped concrete in a tile pattern. 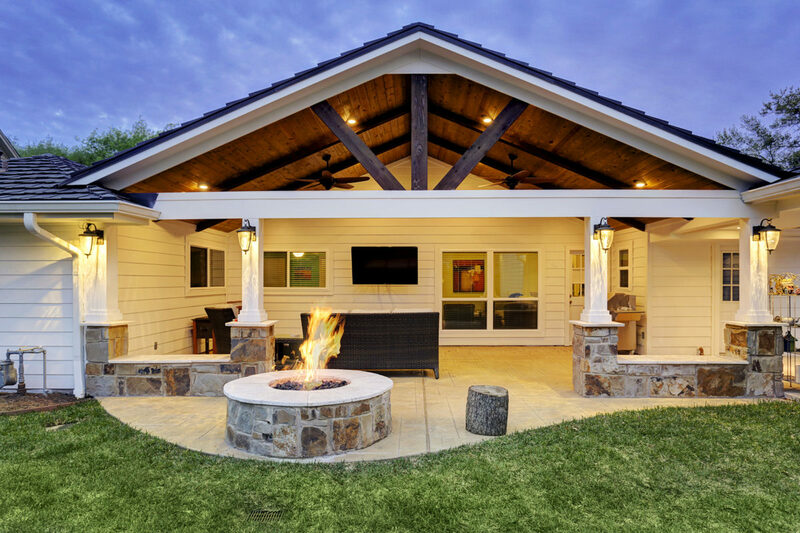 This homeowner now has every reason to be outdoors everyday!